Have you ever wanted to get into the game of real estate as a means of cash flow instead of long-term value? Using real estate as an investment is still viewed as one of the best places to put your money, and using properties to bring immediate “returns” is the smartest way to play. We want to introduce you to Andrew Linoie, Co-Founder of Mobile Home Investors Academy. When his parents lost a large portion of their poftfolio in the 2008 crash, he had what a lot of us did—a huge wake-up call that the current 401(k) investment system is broken. He wanted a change that would bring about lasting cash flow—even when the housing market was down. But how did he go about transitioning from a six-figure job at William Morris to successful real estate investor? Andrew didn’t dive in without a plan. In fact, he initiated much of his plan while still working full time in the corporate world. His plan consisted of calculating and setting a financial goal. For example, “To quit my job, I need to have ‘x” amount of money coming in per month by December.” Now, what do I need to do to achieve that?” He did achieve it; in fact he achieved it ahead of schedule—but how? His initial focus was on single-family housing. He realized that flipping houses and capital gains in equity weren’t his goals. He needed to generate long-term cash flow; not necessarily equity (buying a home for 100,000 and hoping its value went up to 200,000). With this strategy, he could have a steady stream of income even in a down housing market. He then invested in his own knowledge. Long before he invested a penny in a property he began an intense re-education process that included reading books, attending conferences, and networking. He lived in California at the time, but started investing in Dallas. Why? Because his metrics led him outside of his home state where rent averages would offset the payment on a property. He calculated the cost of the property (his monthly payment) versus what he could get for rent. When it worked, he invested. Investing in other states was a turning point for Andrew. It’s nice to live near a rental property, but getting comfortable with going where the metrics led him was a huge step to success. Take Memphis for example. Though the home values didn’t see a huge increase, his payment-to-rent ratio was great. He built his business one deal at a time—if the deal fit his model, amazing. If not—on to the next deal. He kept his focus even if the value of the property dipped because he was getting the cash flow he needed. Then when the value went up, he could go ahead and sell. His strategy focus was to “buy and hold” to achieve a certain amount of income per month. This model allowed him to successfully leave the corporate world. But as the single-family housing market reached its top end, the deals got harder to find. More people were chasing “less inventory.” He needed to adjust his plan. Andrew was able to adjust his plan without changing his goal. He moved into a lower liability, but high cash-flowing model by investing in mobile home parks. Regardless of any stigma of a mobile home park, they are thriving communities and the rent-to-payment ratio is phenomenal. His plan allowed him to think differently about reaching the same goal—his asset had changed, but his philosophy stayed the same. Andrew is a believer that you may need to look a little harder and shift your strategy, but deals are there to be found. Because housing is a base need for everyone, it will never go out of style as an investment. 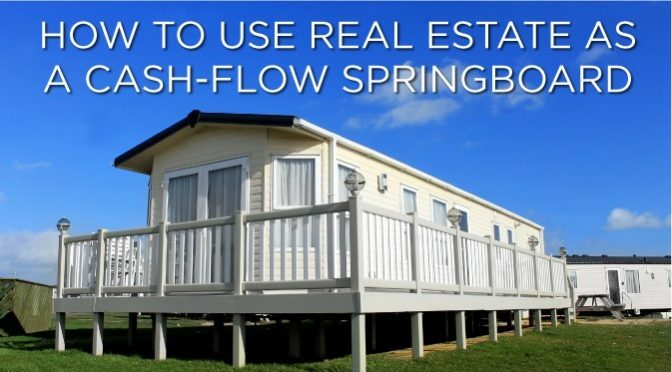 If you’re trying to diversify and build cash flow, real estate is a real consideration. The key to winning the game is analyzing the deal’s potential to return cash flow to you even if the value of the property drops—and that takes planning, focus, and flexibility. If you’re excited to learn more about Andrew’s strategy, visit his website at Mobile Home Investors. You can also listen to our podcast with Andrew here: Why I Quit My Six Figure Job and Started a Real Estate Business. Financial education is our specialty, and we are dedicated to help. 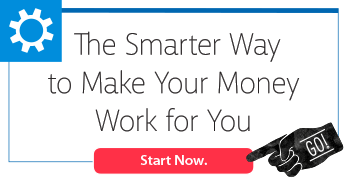 Want to learn about another amazing financial strategy? We want to share a model with you called Infinite Banking, and we are excited to invite you to take 2 minutes to sign up for a FREE, extensive eCourse called Perpetual Wealth 101. You’ll receive access to video tutorials, articles, and podcasts. It literally costs you nothing to become educated on this ideal financial strategy and start changing your wealth paradigm!